Proud to deliver The Best Bamboo Poles anywhere in the USA! 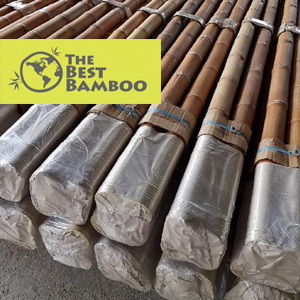 The Best Bamboo's has carefully selected its distributors to become the leading supplier of Bamboo Poles, Bamboo Fencing, Bamboo Tiki Bars, Bamboo Slats, Bamboo Mats. 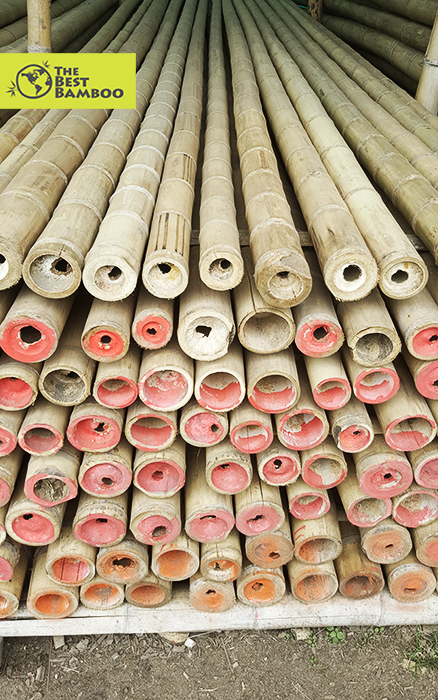 We are proud to deliver the best bamboo poles for any size project in the USA! Also known as “giant timber bamboo”, Guadua has very thick sidewalls and is offered in diameters up to 6”. This bamboo has an overall sandy beige color and is quite straight with slight “waviness” over the nodes. Used extensively in construction in Central and South America, this bamboo is very strong and has the tensile strength of steel. Appearance: Overall sandy/beige in color. Exhibits slight waviness. Also called giant timber bamboo due to its very thick side walls. Rustic in appearance, but may be urethaned to a slight gloss finish better suited for other more refined applications. Grade (Int. vs. Ext. ): Great for both interior and exterior applications. Size: Diameters range from 2″ to 6″ and lengths from 8′ to 19′. Strength: Very strong, used extensively as construction Bamboo in Central and South America in bridges, houses, public buildings etc. Tensile strength of steel. Stainability: Can take a stain – prepare the bamboo by lightly sanding the surface. Treatment Process: Individual Guadua poles are treated for insects with proprietary chemicals. The chemicals impart preservative, anti-microbial and fire-retardant properties. There are a number of ways in which you can make your home look more luxurious, while also keeping it close to nature and eco-friendly. One such way is by the use of bamboo for décor. Outside your home, you can use bamboo poles for some very creative bamboo fencing. There are a number of simple ways in you can set up a bamboo fence that adds to the beauty of your home. 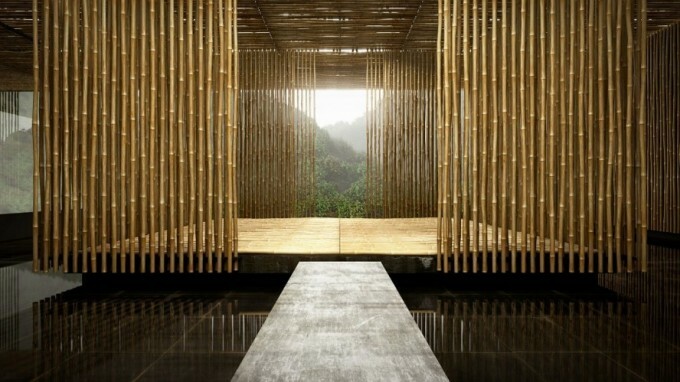 With regard to interiors, using bamboo slats has been a great option to make your walls and even floors come alive. Bamboo poles are also very widely used inside homes, and with a little creativity, you can make them truly a work of art inside your home. One way in which you can use these poles inside your home is by using them for ceiling décor. Make your ceiling look more exotic by the way in which you arrange and suspend these poles. Many people choose to give them a woven look. This works great, especially in rooms with huge open windows. Another great option to use bamboo poles inside your home is to get furniture that has been made especially of them. There are a number of seating options, especially chairs and small couches that are made of bamboo. The poles used for this furniture are flexible as well as versatile, making them perfect for use irrespective of the weather. Small tables made of these poles closely set together or topped by glass, are very popular. If you like to add a touch of art to your bedroom, you can create a bamboo canopy above your bed, decked with flowers. Complimented with other bamboo furniture and bamboo panels in your bedroom, it will give the room a touch of elegance as well as class. Adding to the beauty of your home by considering the use of poles made of bamboo is a great option. There is no end to the many ways in which they can be used. Weave them together, bind them together or use them spaced out to create the effect that you desire. Make your home come alive within and without, with the effective use of poles and panels inside, and some great bamboo fencing on the outside. A bamboo fence interspersed with panels also adds a great effect and a touch of variety, and adds class and luxury to your home without your having to spend much behind it in the end. If you would like to have a Best Bamboo representative to help you with your bamboo pole order pelase fill the form bellow and we will contact you as soon as possible. We need your address to be able to re-direct the information to our closest distributor.